We understand that entering lot descriptions on Proxibid can be a tedious task, especially if you take the time to note condition using numismatic descriptions, as most of our top houses do. But it’s important to inspect bottom-tier holders–not only for condition–but to ensure that the label contains accurate information. The example below does not. This coin is listed as the rare variety 1879-S rev. of 78. You can read about this coveted coin by clicking here. The reverse of 78 variety has a flat eagle breast and parallel arrow feathers; the reverse of 79 has the more common rounded eagle’s breast and slanted top arrow feather. Here is a copy of the varieties from CoinFacts, which we recommend for all auctioneers. 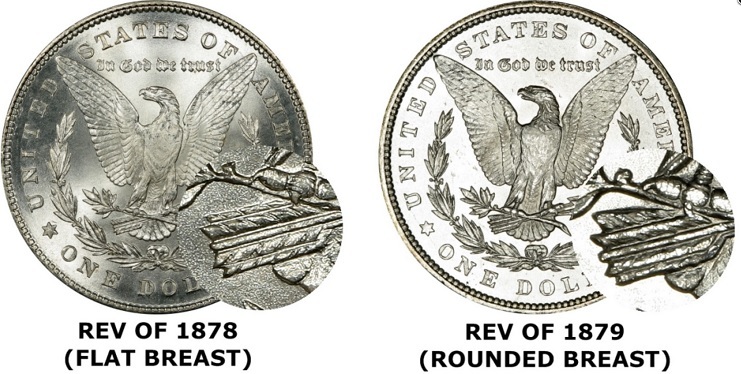 As you can see in the reverse of the Proxibid lot, the round eagle’s breast and slanted top arrow feather documents the label should have read 1879-S. Savvy bidders know that they must treat bottom-tier and self-slabbed lots as “raw,” judging condition and flaws themselves, rather than rely on what is alleged in the label. We recommend this practice for auctioneers, too. Sometimes this can be profitable for your consignor. 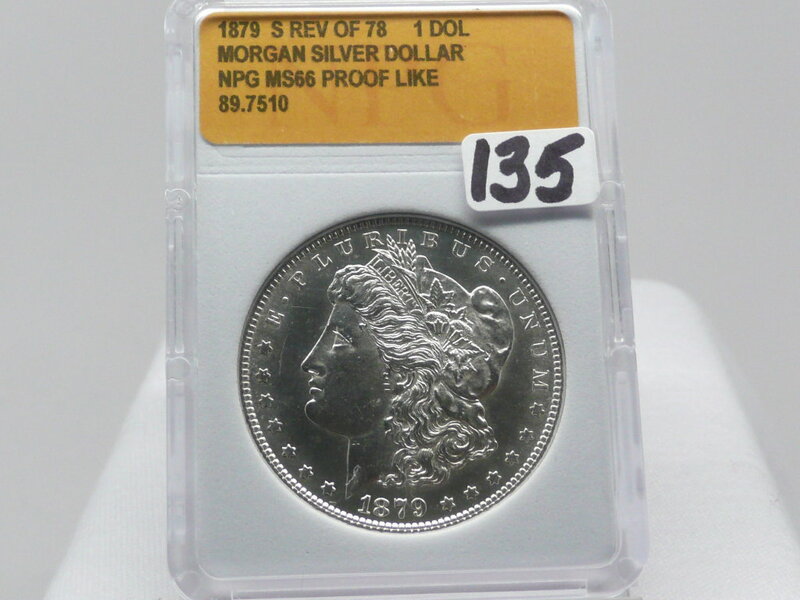 You might discover that the self-slabber has overlooked a rare variety, as in the 1901 Morgan double-die reverse shifted eagle, worth hundreds in poor condition and thousands in mint condition. You can read about that rare variety by clicking here. This entry was posted in Best Practices, Uncategorized and tagged American Numismatic Association, Auctioneers, AuctionZip, Best Practices, Coin Auction, iCollector, National Auctioneer Association, PCGS CoinFacts, Proxibid, Proxiblog. Bookmark the permalink.